Richard Judging by the smiles on their faces, we have managed to convince stag boy DAVID and his friend RICHARD that this is a fun place. Pity about BRIAN, on the left, but we are working on it. 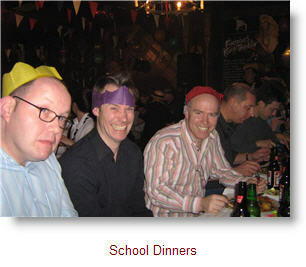 School Dinners London's FUN Stag Night Party venue.